First I splashed out a whole £16 on a fancy mould after wasting money on various supermarket versions (which all broke within a week of use). Then I got making, freestyle, because that’s the beauty of it, no recipe needed, think of them as iced smoothies and you’re on the right track. I am keeping things simple, with only two ingredients. My first attempt was strawberry and banana, a classic, you really can’t go wrong. 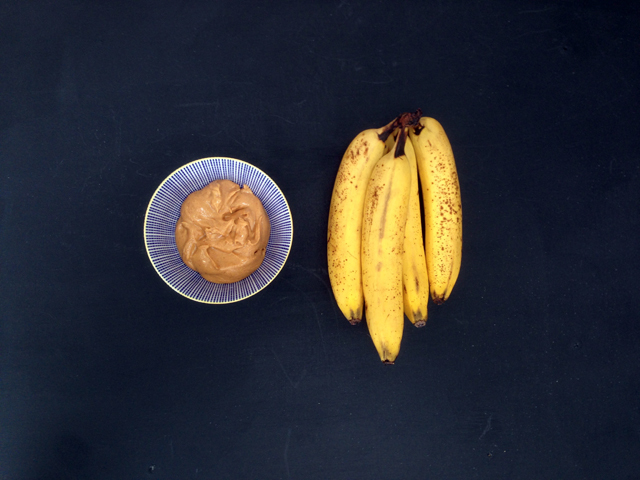 Next was coconut milk (tinned version and full fat, obviously) and strawberries (again), and last but not least banana and peanut butter which I dipped in chocolate… Yes I am aware that makes three ingredients, but it was worth breaking the rules. 1. 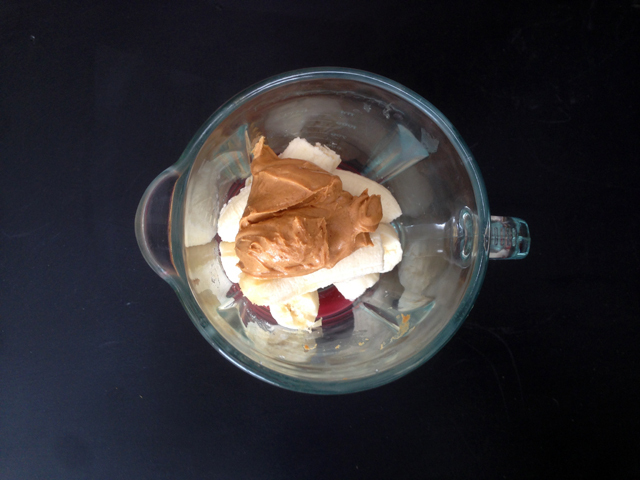 Blitz all your ingredients in a blender, until smooth. 2. Pour into individual moulds, taking care not to overfill. 3. Wipe the mess before you add the plastic top. 4. Add the lolly sticks, don’t push them all the way otherwise you will get very short stick lollies, which isn’t very nice let’s be honest! 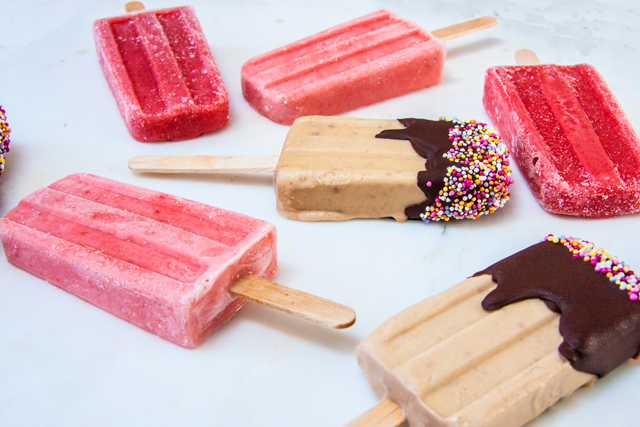 Once your ice lollies are done, it can be a little difficult to extract them from the moulds, don’t fret, just run the whole thing under hot tap water and you’ll be able to get them out in under 30 secs. Don’t try to pull with all your might, it will only lead to disaster and your kids will almost certainly cry. If you want to add a little chocolate like I did, have a bowl of sprinkles at the ready and another of melted chocolate. 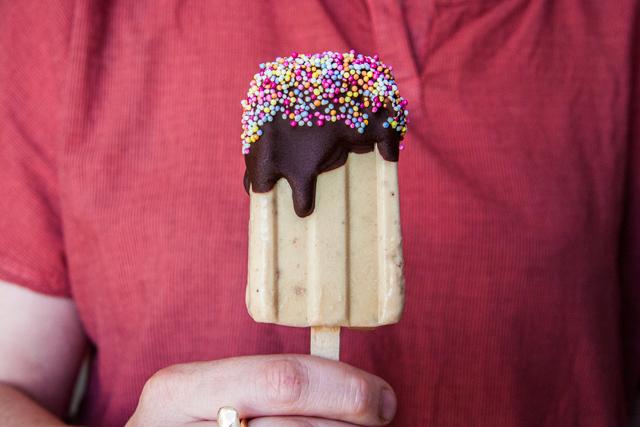 Double dip each lolly, first in the chocolate and then in the sprinkles. Lay each of them on parchment paper and freeze again for 5-10 mins. 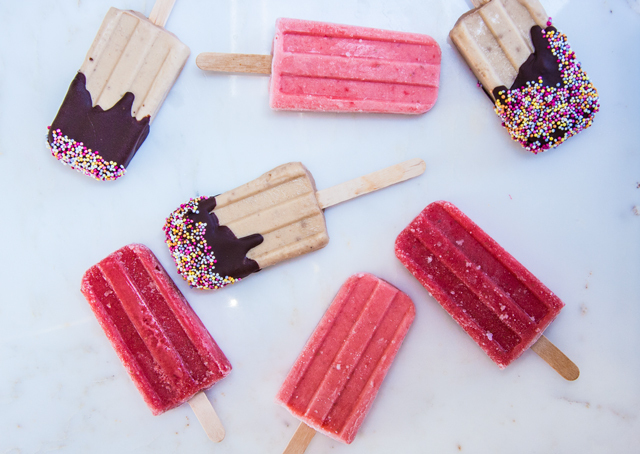 You can store your lollies in a freezer bag. I’m going to keep experimenting with the following combos, but let us know what you try and what works for you? 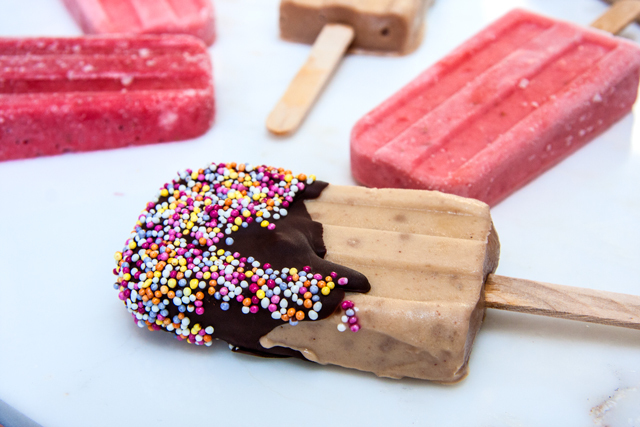 Yoghurt+mango, nectarines+raspberries, coconut milk+pineapple+Malibu… dipped in white chocolate, whoa that’s 4 ingredients! Steady on. Clementine Larvor moved from her native France to London in ’98 and has never looked back. She is an interior designer and mum of three who loves making stuff and suffer from craft schizophrenia: from baking to knitting, sewing to weaving she can’t help herself, she just has to try them all!